Our Keren side light is a gorgeous addition to any side table. Used as a bedside light – you could even hang it from a hook on your wall – it will cast a beautifully relaxing glow creating the perfect mood for a grown-up sanctuary. 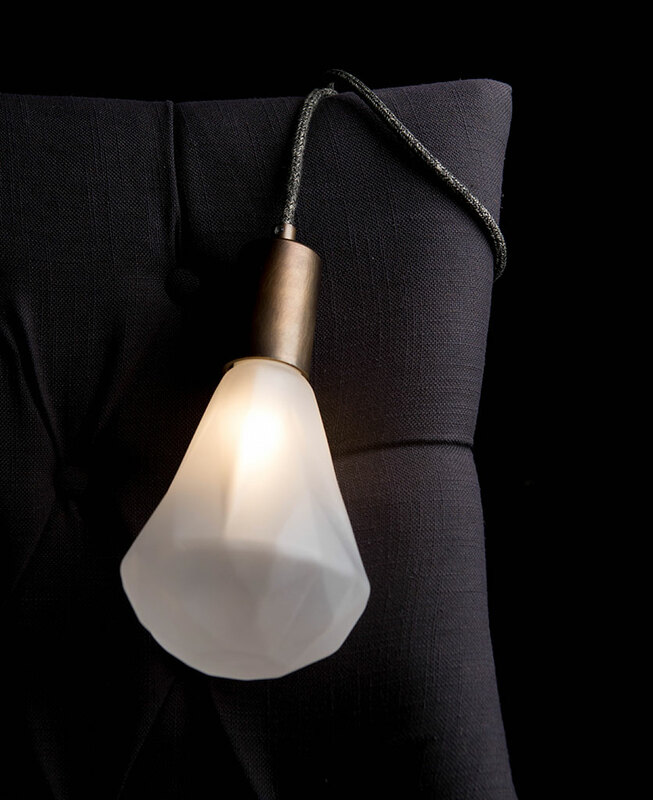 This lamp comes ready to plug in – just decide where you want it. How gorgeous is this table lamp? All of these components have been available to buy individually for quite some time as part of our lighting components collection. But we love to give you inspiration on how our products work together and have created this Keren table lamp to expand our table lamp range. This table lamp is fabulously tactile. From its faceted frosted diamond light bulb to its multi-tonal fisherman’s jumper fabric cable, this table lamp is perfect for creating a relaxing vibe in contemporary spaces. Show off against a grey palette for maximum impact. We love the versatility of this lamp – it’s not solely for tables you know. 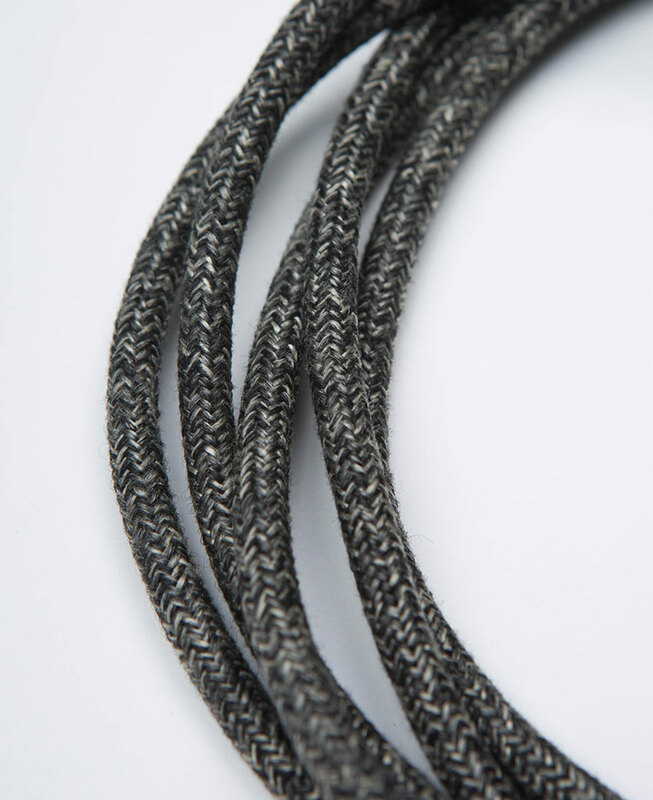 The 3-metre length of the cable means that it can be draped over chairs, headboards or wall hooked to create a stunning side lamp in any space. 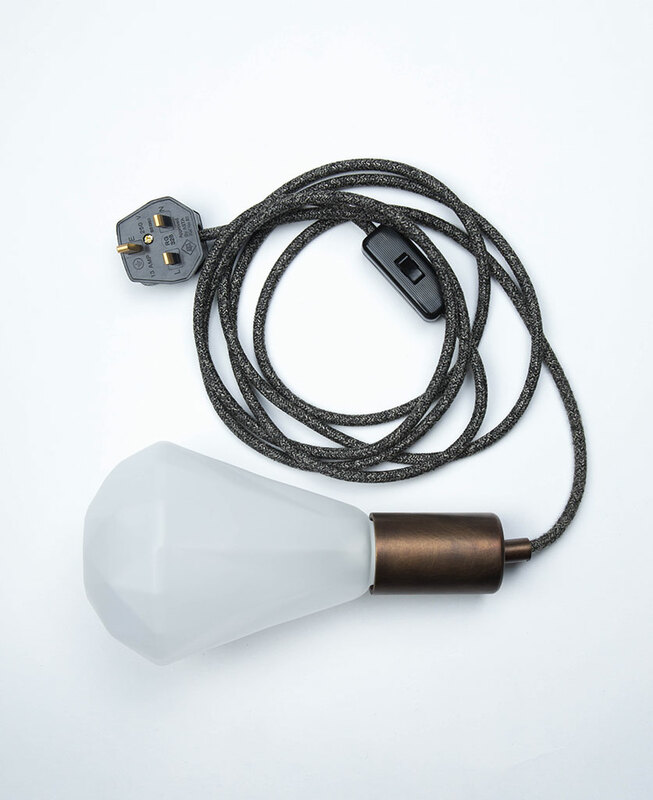 Each lamp is fully assembled with frosted diamond christalle light bulb, an antique bulb cap, a 3m length of fisherman’s jumper fabric cable, black inline switch and black 3 amp plug.